1.7.3 英語放送スクリプト編: 名鉄特急 - dutcheez’s Fun with English! Thank you for using the Meitetsu train. This is the µ-sky bound for Shin Unuma and Shin Kani. We will be stopping at Jingu mae, Kanayama, Nagoya, Iwakura, Konan, and Inuyama. Cars 1 through 4 go to Shin Kani, cars 5 through 8 go to Shin Unuma. This train requires a reservation ticket. The next stop is **. We will soon make a brief stop at **. Put yourself in a foreign traveler's shoes. Japan Rail Pass should be validated at a JR station, and is not valid on Meitetsu Trains. All trains go to Nagoya (Central) Station at this time. Nagoya Passengers: take this train. Extra Fare Req'd / All Seats Reserved / ca. 35 mins. Thank you for using the Meitetsu train. This is the limited express bound for Toyohashi. 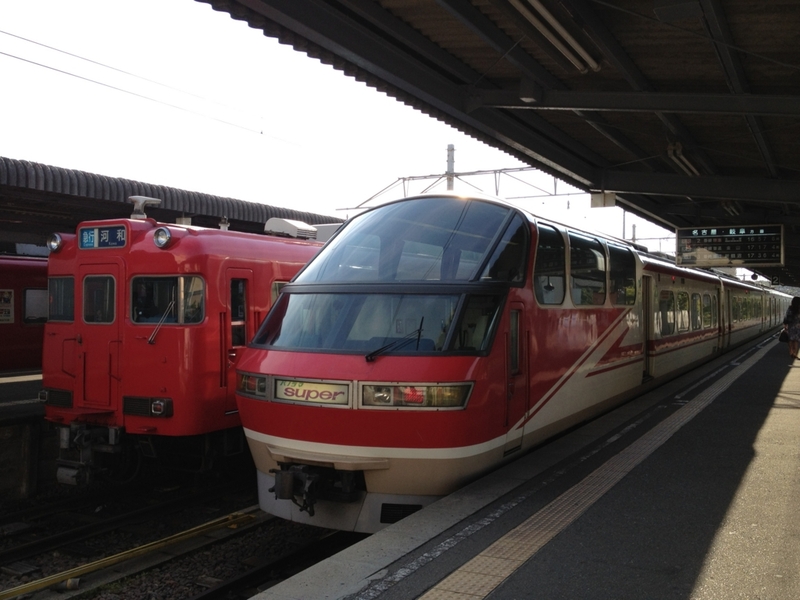 We will be stopping at Kanayama, Jingumae, …, and Toyohashi. In this train, cars 1 and 2 requires a reservation ticket. We will soon make a brief at **. 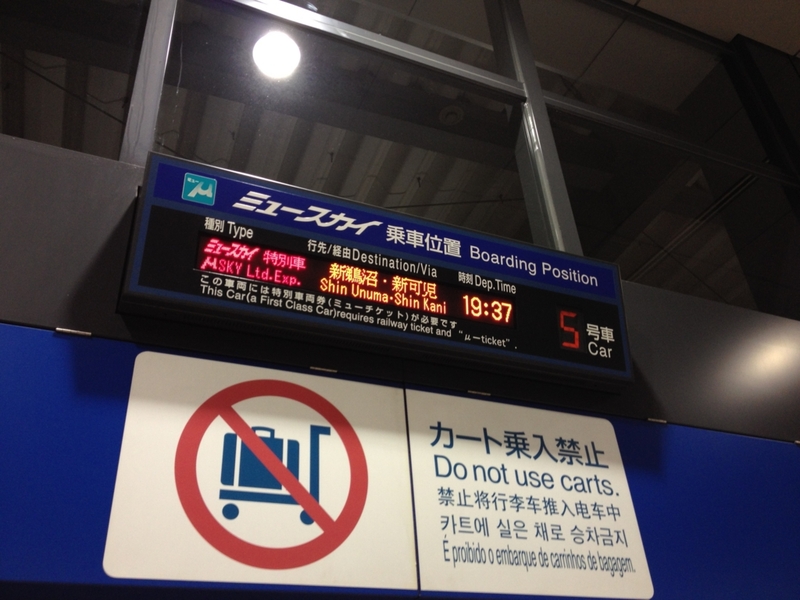 Passengers changing to the … please transfer at this station. In this train, cars 1 and 2 / requires a reservation ticket.